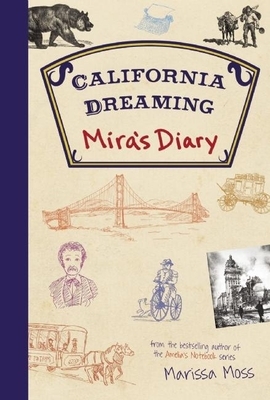 In the last book of the time-travel series, Mira explores the past of her familiar Bay Area, discovering layers of history in San Francisco and learning the real reason her mother has been working to change history. On the way, she meets Mark Twain and uncovers the Watcher's real identity. Marissa Moss has written more than 50 books for children. Her popular Amelia's Notebook series has been translated into five languages and has sold millions of copies. She lives in Berkeley, California.